Now that the holidays have come and gone, it’s time to start thinking about the new year. It could be that you have a long list of resolutions in 2018. From exercising more to saving money, we all have an idea of what we want to achieve. 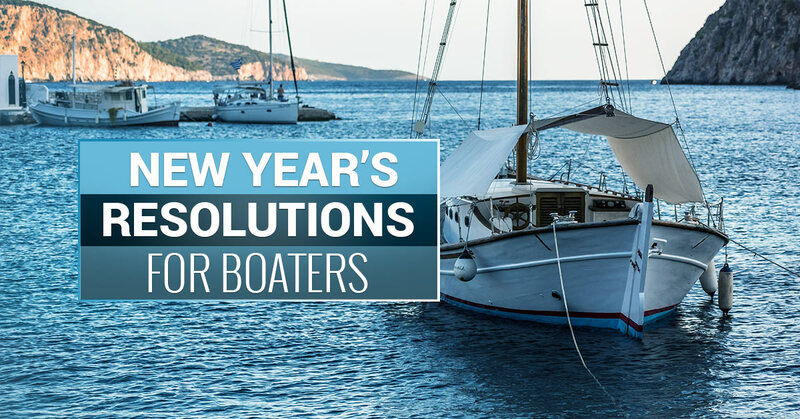 But what about New Year’s resolutions for boaters? Keep reading to check out our top 10. Spend more time out on the water – Have you gotten into a rut of spending too much time indoors? Has binge-watching a favorite Netflix series kept you from enjoying fun in the sun? Make it a point to set aside time for boating. Believe it or not, that time on the water can be therapeutic as well. So don’t be surprised if you’re less stressed the more time you spend on your boat. Go on more sunset trips with your significant other – Florida residents sometimes take our beautiful sunsets for granted. Don’t let that happen in 2018. Sunset trips make perfect date night ideas. Plus, they will help the two of you feel at peace and away from it all. Teach your kids a new water activity – Maybe 2018 is the year your kids learn to water ski. Rather than let them sit at home playing video games, get them outside and enjoy spending quality time with them. Just remember all the necessary safety equipment, such as lifejackets. Take a boater safety course – It’s never a bad idea to refresh your knowledge of boating safety. Think of taking a course as an investment. The more you know, the safer you and your loved ones will be while out on the water. Find a new fishing spot – Do you consider yourself an avid fisherman? Nothing compares to finding a secluded spot and coming away with a number of great catches. Wear more sunscreen – Is 2018 the year you take charge of your health? Make sure that resolution extends to boating. Remind yourself regularly to wear more sunscreen, hats, and clothes to protect your skin from damaging ultraviolet rays. Make a hurricane preparedness checklist – In the rare event that you find yourself on the water during a nasty storm, a preparedness checklist could save your life. Remember to equip your boat with updated safety gear if necessary. 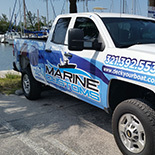 Learn more about boat maintenance – You probably spent a good deal of money on your boat. So why not ensure it continues to run at peak performance? Start brushing up on boat upkeep. 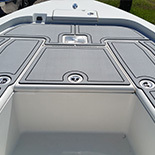 Clean your boat more often – Just like your car, the boat will definitely benefit from being hosed down on occasion. 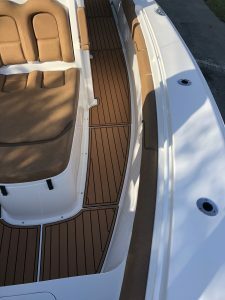 Upgrade your boat decking – There’s a good chance your boat decking has seen better days. 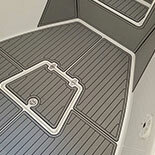 At Marine Customs, we can set you up with attractive non-skid decking options that will help your boat last for years. Our anti-slip decking fabricator and installer provides non slip decking for folks throughout the East/Central/South Florida regions. From all of us here at Marine Customs, we wish you a happy and safe 2018. Please don’t hesitate to ask about our marine decking options.